The simplest and easiest way to interact with your visitors is adding a guestbook and Comments section to your website. Today, I am going to provide a list of best WordPress guestbook plugins and websites to add a Guestbook to your WordPress blog and website. I’m going to show you the easiest ways to add a Guestbook using plugins and website services. Use the following WordPress plugins to add guestbooks easily. This is an extremely configurable WordPress Guestbook plugin that enables a guestbook on your blog. You can include multiple guestbooks, set mandatory fields, and enable reCaptcha verification for your guestbook. Other features include the ability to read Gravatars, and guestbook searching (for administrative purposes). Make sure you read the installation guide here. You can have as many guestbooks as you like and can edit the look and feel of the guestbook entirely if you are not afraid with tinkering with the configuration. More plugins compatibility – All plugins that work with WordPress comments can be used for a guest book like Anti-spam, Akismet, etc. All WordPress Comment Features are also available in Guestbook. WP Guest Book is also a guestbook WordPress plugin used for creating awesome guestbooks using shortcodes. It’s a simple plugin, as your Guest can write a review, and you can show by two type slider, with easy shortcode. Instantly generates a guestbook for WordPress blogs based on the active theme. Once activated, click on Options > Guestbook Generator to create the guestbook. Login to your WordPress admin panel and browse to the Plugins section. Activate the Guestbook Generator plugin. Go to Options > Guestbook Generator to create your guestbook. 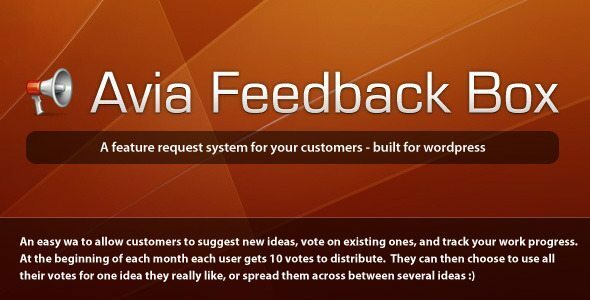 The Avia Feedback Box is a feature request system for visitors and customers. They can suggest new ideas, vote on existing ones, and track your work progress. 2. Automatic Comments – Get the conversation started! No one commenting on your blog posts? Get the conversation started with the Auto Comment plugin. Auto Comment automatically posts a comment on every new blog like: “Did anyone else see this?”, “Who has experience with this?”, “Has anyone tried this?”, etc. Thinkbox is an easy way to show comments or information from people, staffs, team, and clients. Best suited for display client testimonials and show team member information. This is probably the simplest and shortest method ever to set up a guestbook. All you need to do is go to Guestbook Central and sign up for an account. 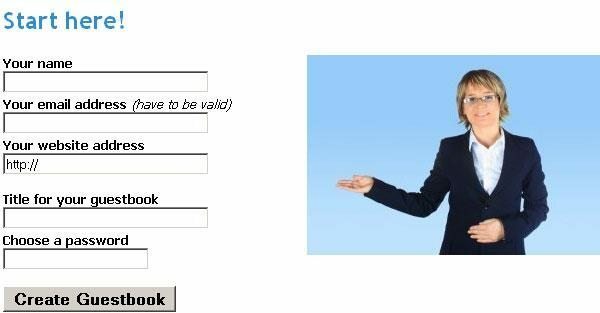 A short form and email confirmation later, you’ll be all set with a free guestbook for your website to accept those comments your visitors have for you. The free service has a convenient dashboard from where you can fetch the code for the guestbook, manage the entries in it, and select anti-spam measures such as Captcha. Website Goodies is one of those all-in-one sites, which provide you with lots of nifty tools and services, all under one umbrella. You have Hosted Tools, Website Tools, Code Generators, Network Tools, etc. to keep you going. You can get valuable feedback from your visitors and you will encourage them to come back, over and over again. Adding a guestbook is easy! The SmartGB website is one with a very simple, clean feel to it. They let you customize your guestbook to the point of selecting themes. For spam control, they let you choose different levels of protection (Off, Light, Moderate and Strong). The registration process is pretty simple as well (just one short form and all you need is a valid email address). 1) Login to the Slide.com website. 2) Click on Create a Guestbook. 3) Enter the details in the Guest Book and click on save. 4) Copy the code displayed. 5) Write a new post and paste the code in the post. You will find the guestbook on your WordPress blog. The easiest would be to create a post titled Guestbook simply and to invite comments on that page. Make sure to link to it in your blogroll so that it’s easily visible to your visitors. WordPress is a very flexible platform for creating any kind of sites. Adding a guestbook in WordPress is simple too. There are numerous other options available too to make a guestbook in WordPress. If you know anything better for creating a WordPress guestbook, let us know in the comments section below. At first it is compulsory to test the rules and abide by them while in the larger fascination of the game.